Looking for something completely different but still world class? SPECTACULAR VIEWS AND GLORIOUS FOOD ARE JUST THE BEGINNING. 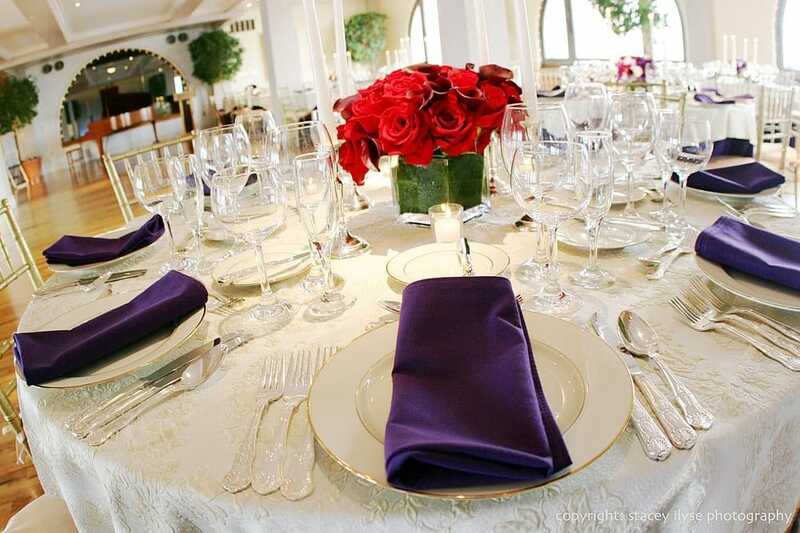 Prepare yourselves to the table for generosity, and showcase your brand in our one of a kind setting. 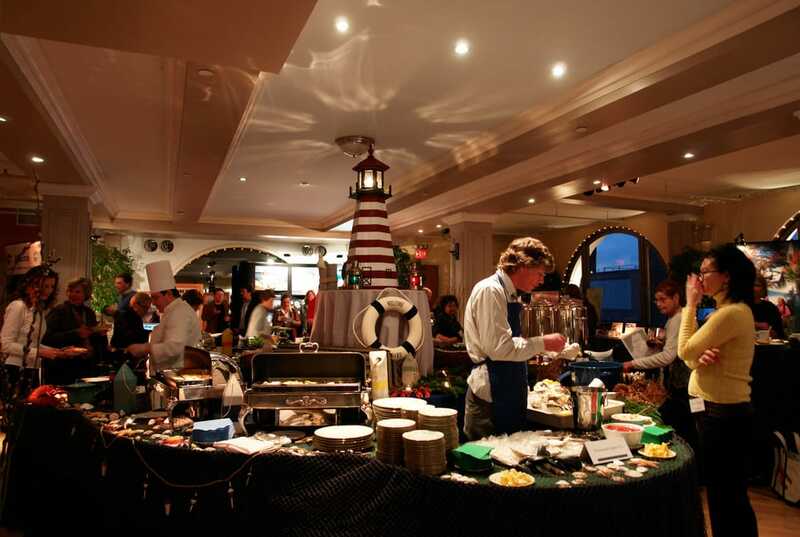 Many corporations that are clients of ours repeat for their annual or seasonal event here. (Try January for your holiday event!) Our two very finished rooms, adorned with rich details and surrounded by iconic Manhattan real estate, work well together. 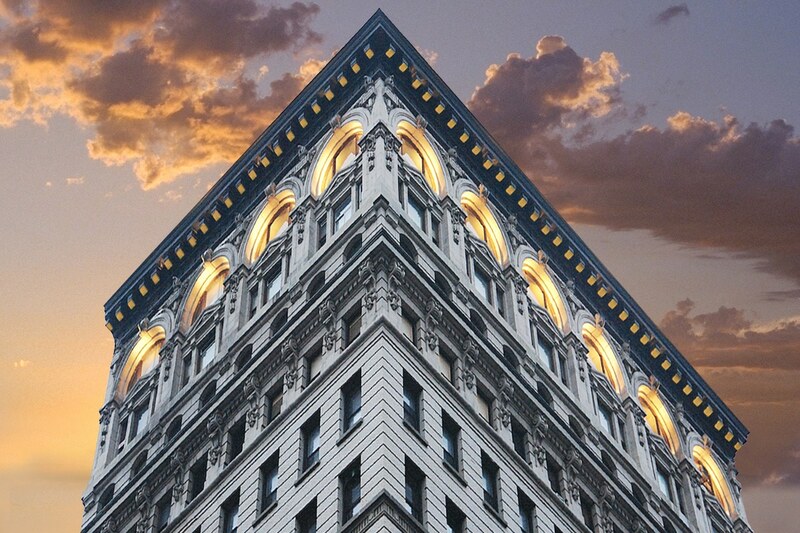 We have the whole 8,000 square foot penthouse floor, and that’s a rare event space in Manhattan. See the views you’ve missed through our twelve foot diameter polished steel Palladian windows. Easy to get to, just a block from a dozen subways. In this splendid setting in lower midtown just west of Union Square we offer upscale food and services that get raves in the media. And our catering executives — Monika, Jeno and Sam — know how to maximize your goals. We’ve been catering since 1973, but Manhattan Penthouse is our ultimate achievement when we could design both a rich, extraordinary environment and a striking, eclectic menu together. We excell in cocktail receptions with fine, abundant hors d’oeuvre as well as sit-down dinners where every presented plate is like dinner for two at a very top restaurant. Our style is elegant, but not precious. We concentrate on taste. We prepare classic favorites as well as new creations. Maximizing value is our constant aim. 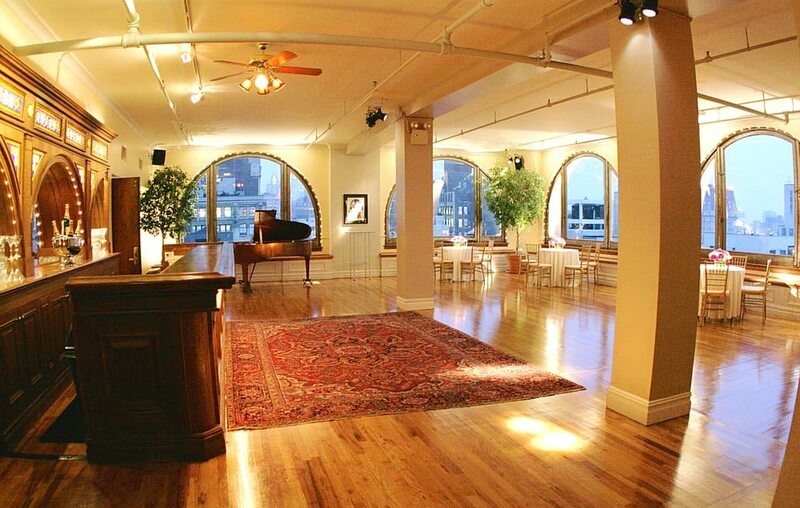 The Manhattan Penthouse event space is different from any other. Although we are only one of the top venues around town, we hope you will choose us next time you are planning an event for 75 to 250 persons. Are you looking for the perfect weding venue? Look no further! Allow you and your guests to be thrilled and beyond captivated in our handsome penthouse aerie with the city and friends wrapped around you! 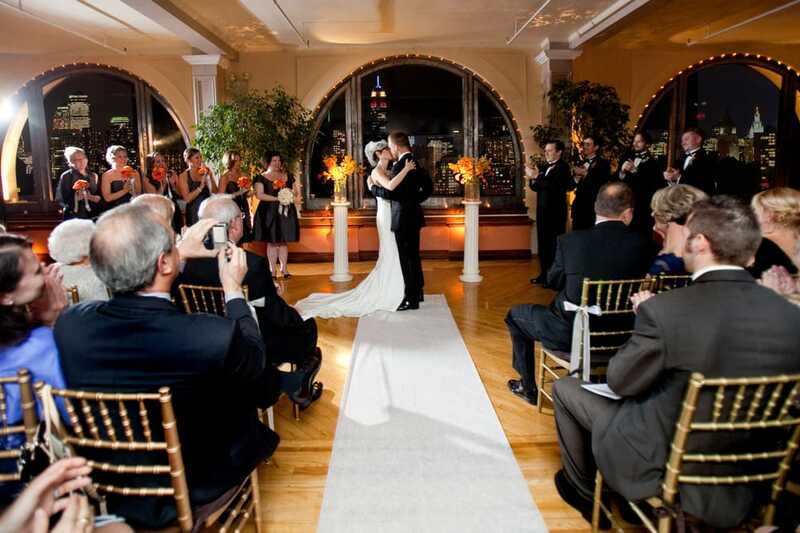 One of Manhattan’s great wedding venues, Manhattan Penthouse on 5th Avenue offers the Best of New York: breathtaking views, glorious food, fabulous location, and our executives and party staff constantly praised in the media. Getting down to business is convenient, comfortable and exciting at Manhattan Penthouse, a great and flexible venue for setting up any kind of daytime meeting, workshop or conference. We have corporate clients that come back to us season after season for their special events, which include Continental Breakfasts and Light Lunches and Snacks or Served Lunches with main course options and wines. Manhattan Penthouse is a great place to break away for a day of programs and networking: convenient, quiet, supportive, interesting, unusual, and well done. 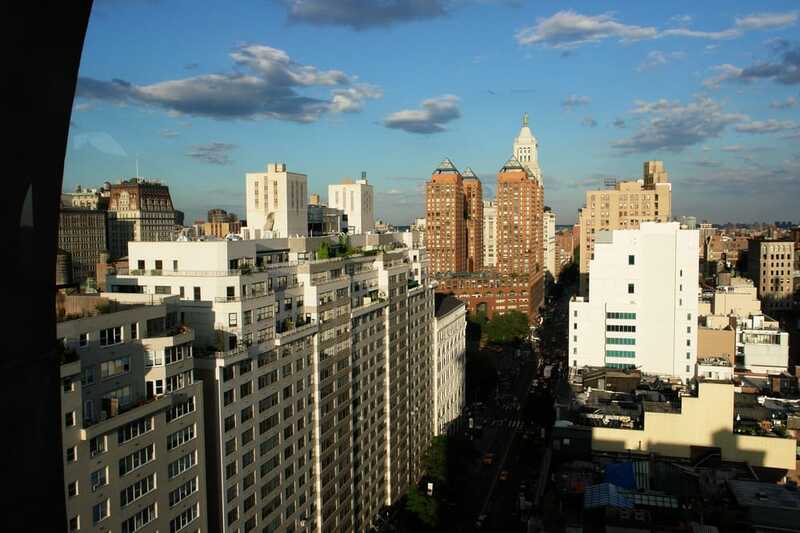 Everything looks beautiful in the daytime at the Manhattan Penthouse event facility. Just a block from Union Square and 6th Avenue Subways. Have Questions? Simply submit a FREE QUOTE REQUEST and one of our senior party planners will follow up to provide a complimentary consultation. WINTER SPECIALS! Book Your Event Today and Take Advantage of our Current 2017 Savings!